Illinois Drunk Driving - What happens to my license after fourth DUI? Drivers convicted of drunk driving in Illinois will face very severe DUI penalties and high DUI fines. A driver recently asked what would happen to their Illinois license if they were convicted of a fourth DUI but they were arrested in another state. Illinois is part of the Drivers License Compact which is an agreement first created in 1961. This agreement, which all but five states (Georgia, Massachusetts, Michigan, Tennessee and Wisconsin) participate in, means that if you have been arrested in Wisconsin, for instance, but you reside in the state of Illinois, Illinois will be notified of your fourth DUI arrest and if you are convicted you will face a loss of driving privileges in the state of Illinois. Drivers arrested and convicted of a fourth DUI in Illinois can expect to be charged with a Class 2 Felony conviction. Drivers who had a blood alcohol content which was above 0.16% or higher will pay mandatory fines of at least $5,000. Drivers who were transporting a child under the age of 14 will pay a fine of $25,000 and will have to perform 25 days of community service which benefits children. General DUI penalties for a fourth DUI in Illinois will include significant time in prison, probation, mandatory attendance in a drug or alcohol education course, and a license revocation. What happens to my drivers license after 4th DUI in Illinois? 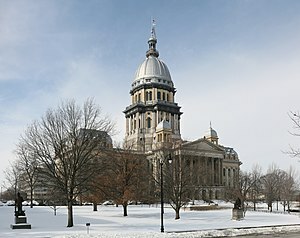 Although most drivers who are arrested in Illinois for DUI will have to install an ignition interlock device and may be allowed to reinstate their Illinois drivers license, for 4th time drunk driving offenders this will not be an option. If you are convicted of a 4th DUI in Illinois you may be out of chances and your may have your drivers license privileges revoked for life without any relief. It is important to talk to a DUI lawyer familiar with the laws of Illinois. Keep in mind, the court will classify you and your dependency to alcohol and this classification will determine what you will need to do to reinstate your drivers license. For instance, if you have had 3 or more drunk driving arrested in Illinois within the last 10 years the court will classify you at least as a Level III nondependent. The classification could be worse if you have more than 3 symptoms of dependency as determined by an evaluator in your alcohol treatment program. Some drivers may have the legal right to request a restricted driving permit which is issued by the Secretary of State. This permit will allow you to drive to and from work, to attend AA meeting, medical appointments and attend school. Restricted permits must be used for many months prior to requesting a license reinstatement. As mentioned above, many fourth time drunk driving offenders in Illinois will not be eligible for a license reinstatement. What should I do following a DUI arrested for a fourth DUI in Illinois? The first thing to do is talk to a drunk driving lawyer. Generally, for a felony DUI you will have to appear in court for all stages of the DUI legal proceedings. DUI lawyers can review the details of your case and explain that a DUI conviction may result in a minimum sentence of 180 days in jail to three years in state prison.